Few national institutions emerge with dignity or enhanced credibility from the Stephen Lawrence murder case, but media have more reason to be cheerful than most. Media coverage of the Stephen Lawrence murder from the beginning rightly emphasised the need for a radical overhaul of the police and elimination of the institutional racism exposed by the 1999 Macpherson report into police handling of the case. They did so at a time when politicians, including the Conservative governments of Thatcher and Major, were scandalously dismissive of criticism of the police, particularly by black people who were the victims of racist policing. Perhaps the most dramatic and surprising example of media shaking off their own stereotypes in this case is that of the Daily Mail, which launched a vigorous campaign for justice for Stephen Lawrence in the mid-1990s when it named and shamed the five racist thugs who killed him under the front-page headline “MURDERERS” and challenged members of the gang to sue. None did, but two of them were put away this week, while three others remain at large. 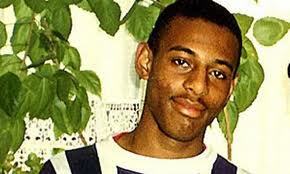 Almost 19 years after the killing of Stephen Lawrence racism has not been eliminated, far from it, but policing and politics have improved largely due to struggles for justice led by the Lawrence family and supported by many sections of the media. Nevertheless, there are worrying suggestions this extraordinary campaign against searing injustice only succeeded in achieving public and media profile because Stephen's parents were reasonable, articulate and educated and their son was a young man of promise and about to embark upon an academic career. These circumstances made it easier for the white community to identify with the family. It is not certain the case would have captured the media imagination had the family been living on benefits. Nor is it evident why media did not act with the same resolve in dealing with three other racist murders in same area in the two years before Stephen's murder. Ruhullah Aramesh, Rohit Duggal and Rolan Adams were all attacked by gangs of young, white men wielding knives or iron bars and hurling racist abuse. Many more cases remain unresolved. Too often, black people are presented in the press – including papers like the Daily Mail and more offensively by the Daily Express – in negative terms and often as a community defined by social problems and violence. Although the death of Stephen Lawrence changed the terms of the debate on race and policing, there are still too many unsolved racists murders and much evidence that racism lurks in every corner of society. Today continuing controversies over migration, rights of asylum seekers and increased border controls are stories that boost circulation and strike a popular chord because they are nourished by xenophobia, racism and, more recently, by Islamophobia both in Britain and across the European Union. The conclusion from the Lawrence trial is that the police should be held to account for their racism, but media must also redouble their efforts to eliminate all forms of stereotype and to treat equally the victims of violence and racism.